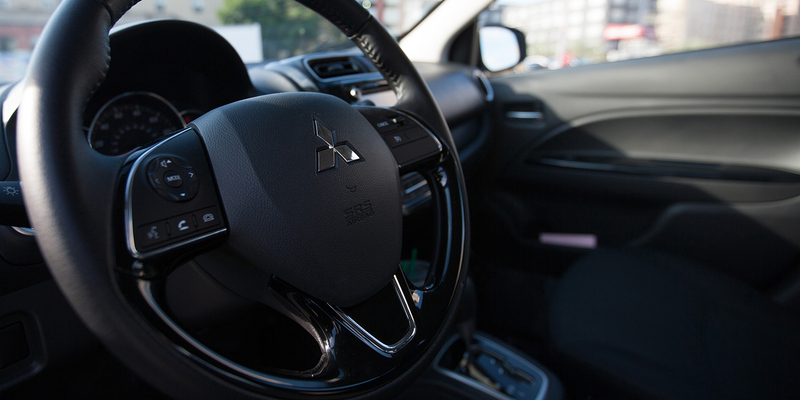 Affordable both at the dealership and with a lifetime of fuel savings plus some of the best warranties in the industry, the 2019 Mitsubishi Mirage G4 brings you an enhanced interior at an MSRP just $1,000 more than the smaller Mirage hatchback. The G4 sedan is twenty inches longer while maintaining its compact 59-inch height, adding to its interior comfort with a bigger second-row roominess to better cater to multi-passenger needs. New for 2019, the Mirage G4 gains cruise control, driver seat height adjustments, and enhanced upholstery detailing on both its available trims. What features do the Mirage G4's trims offer? 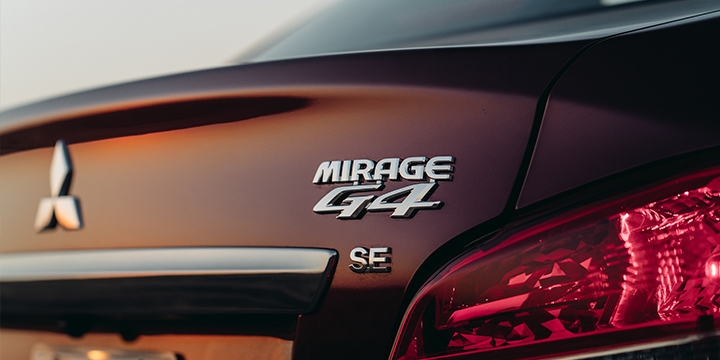 The 2019 Mirage G4 sedan comes in two trim levels: the ES and SE. Both tote the same power (see below), with the SE providing you with further technological convenience and connectivity. 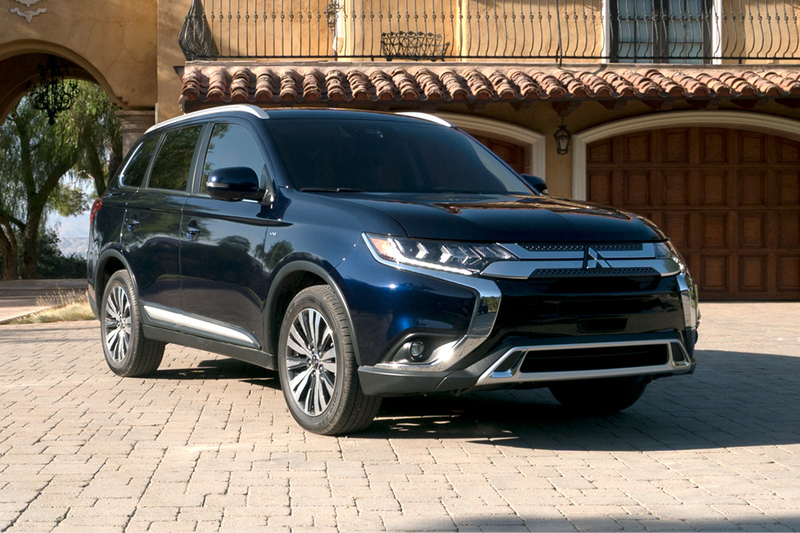 Standard in the ES comes automatic headlights, full power accessories including windows, locks, and seat adjustments, and a sizable seven-inch radio touch display that possesses standard Bluetooth connectivity, CD player, and a USB fast-charge connection. This system also serves as the view port for the Mirage G4's standard rearview camera. There's optional Apple CarPlay and Google Android Auto wireless smartphone integration that winds up as standard equipment within the SE. This trim also gives you cruise control, automatic climate control, keyless entry and ignition, height adjustable driver seat, and heated front seats. 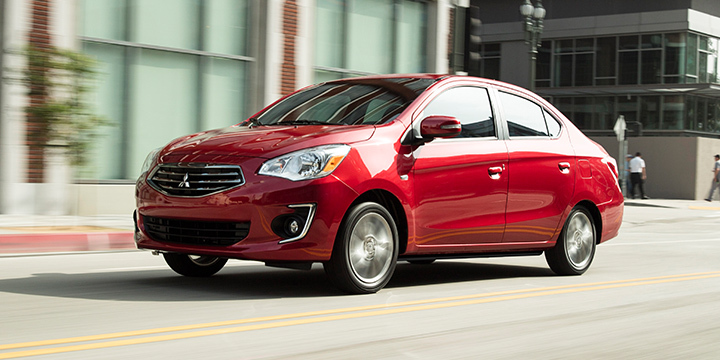 The Mitsubishi Mirage G4 grants you advantages in size compared to its smaller hatchback design. There's best-in-class rear and total legroom to keep you and your passengers comfortable even through longer drives, and the trunk can pack up to 12.3 cu.ft of cargo. 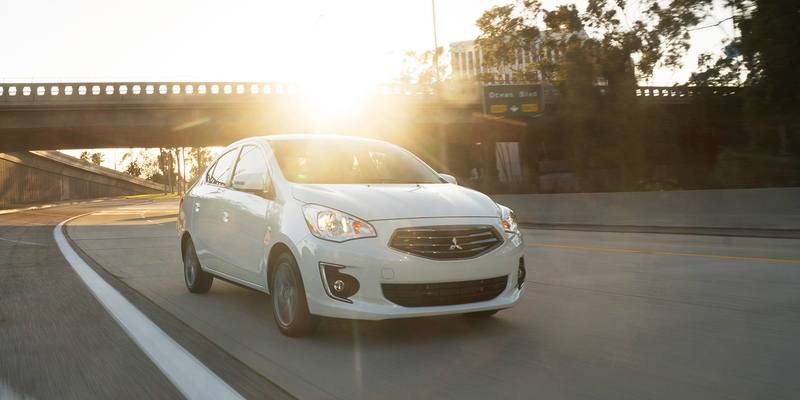 How efficient is the Mirage G4's powertrain? 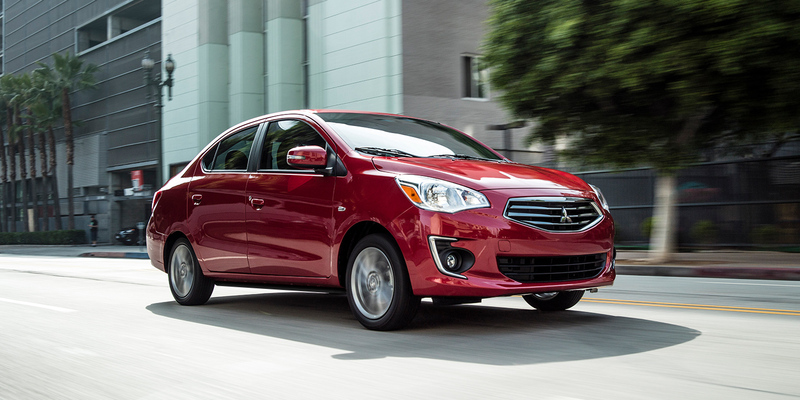 The legendary efficiency of the Mitsubishi Mirage G4 starts with its 1.2-liter inline three-cylinder engine. This engine comes paired either with a five-speed manual transmission or an ultimate fuel-saver Continuously Variable Transmission. As a sedan, the manual transmission achieves 33/40 city/highway miles per gallon, while the CVT drives with a 35/42 city/highway miles per gallon efficiency--numbers normally associated with hybrid vehicles! 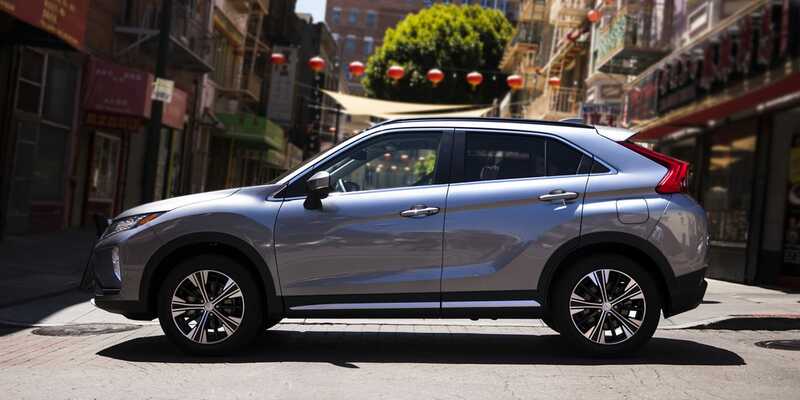 It drives forward with 78 horsepower and 74 lb-ft of torque through its front-wheel drivetrain, best suited for city blocks and more casual traffic speeds. How does the Mirage G4 keep me safe? 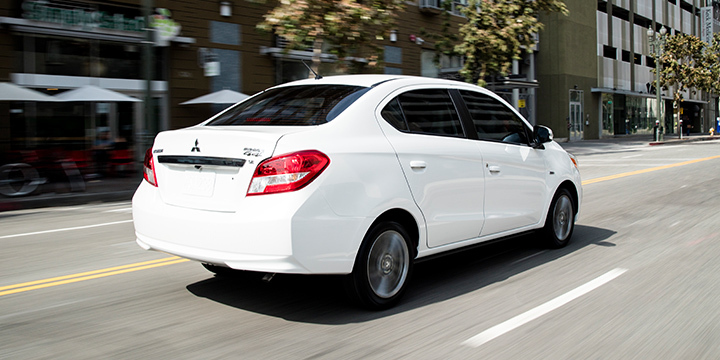 The efficient aerodynamics are both sleek and smart; Mitsubishi designed their Mirage G4 to have minimal blind spots and awareness around your vehicle. When in reverse, this ultimate visibility is enhanced with the G4's standard rearview camera, giving you a wide-angle viewport of what's behind you and perhaps hidden around parked vehicles beside you. It's reinforced impact innovations utilize body crumple zones to absorb energy during high-impact collisions. 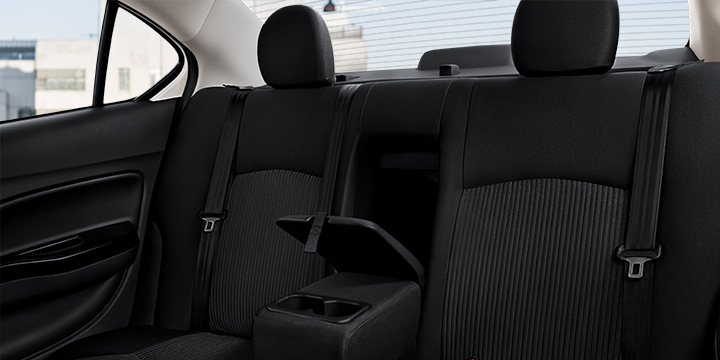 Seven airbags are featured throughout the cabin space of the G4 to give an extra level of protection through crashes. 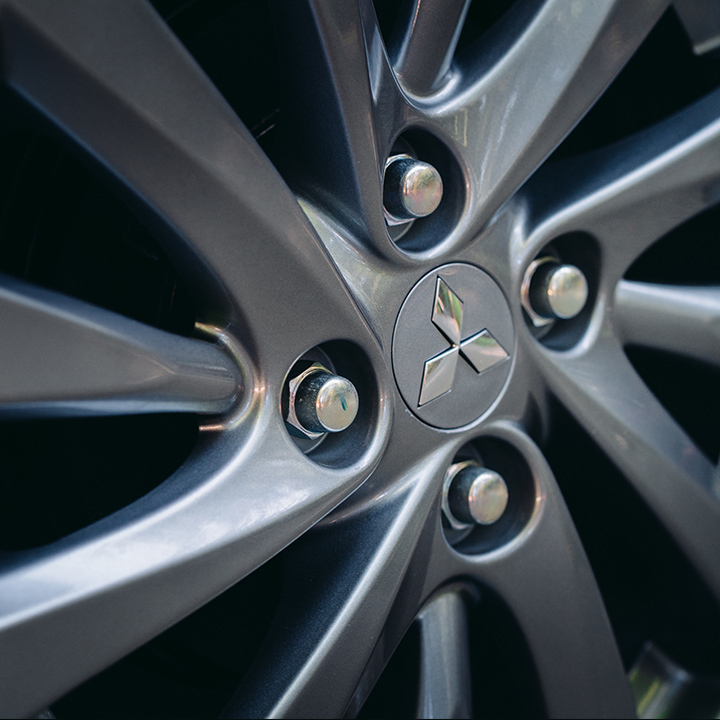 Providing you with all you need through any around-city trip, the 2019 Mitsubishi Mirage G4 is one of the more advanced vehicles you could opt for in terms of efficiency. Its technology are features that you'll use everyday to enhance your drive's entertainment value, and its larger size better accommodates multiple people along for the ride to really make your destination a party! 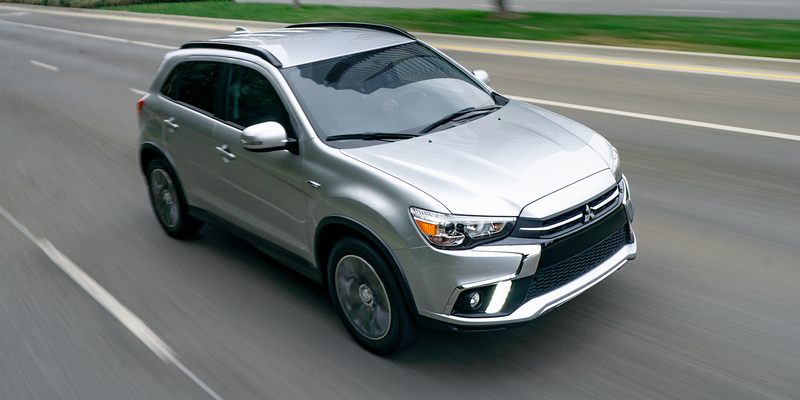 Come discover the savings Mitsubishi can give you today. Our dedicated sales team are present to take your call or host your visit to answer any and all questions you may have about the Mirage G4.